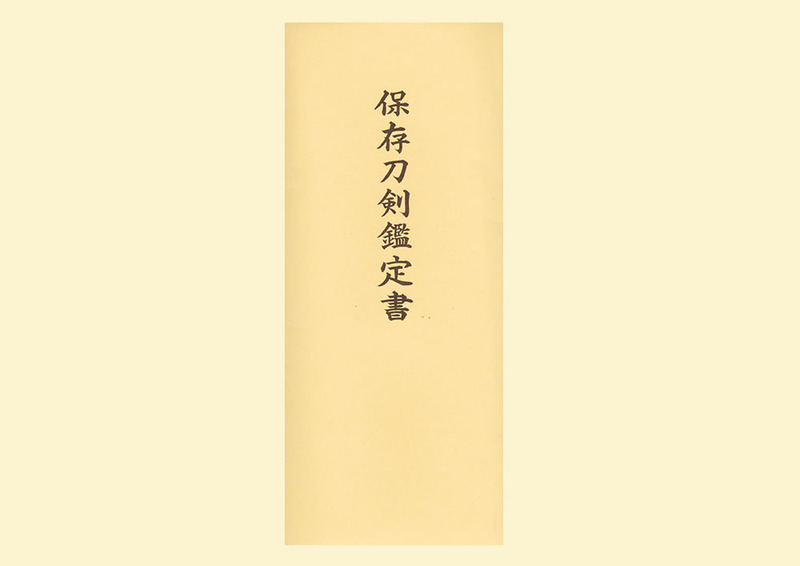 Mumei(unsigned) attributed as Mizuta Kunishige. The blade was not polished. Habaki : single copper habaki with gold color. Blade length : 49.8 cm or 19.6 inches. Width at the hamachi : 2.9cm or 1.14 inches. Width at the Kissaki : 2.3 cm or 0,9 inches. Kasane : 0.75 cm or 0.3 inches. Era : Edo period Kanbun era. 1661.
rather wide and thick with small sori and longer kissaki. with Chikei and visible to see the texture. and wild feeling texture. Boshi is noter and pointed hamon and turns back. with thick nioikuchi wild feeling hamon. This Mizuta school continued 7 8th generation until Genroku era. The sword was done Tameshigiri hutatsu do cut. Menuki : I think the designe looks Kabuto. but the blade was judged as Mizuta Kunishige. which means sword maintenance for Syogun or Daimyo's sword. Probably he was one of the best sword cutter and ordered to this job. on the sword tang, Tameshigiri mei will be engraved with gold inlay. The blade is slightly rust and accepted polishing perfectly by extra fee.